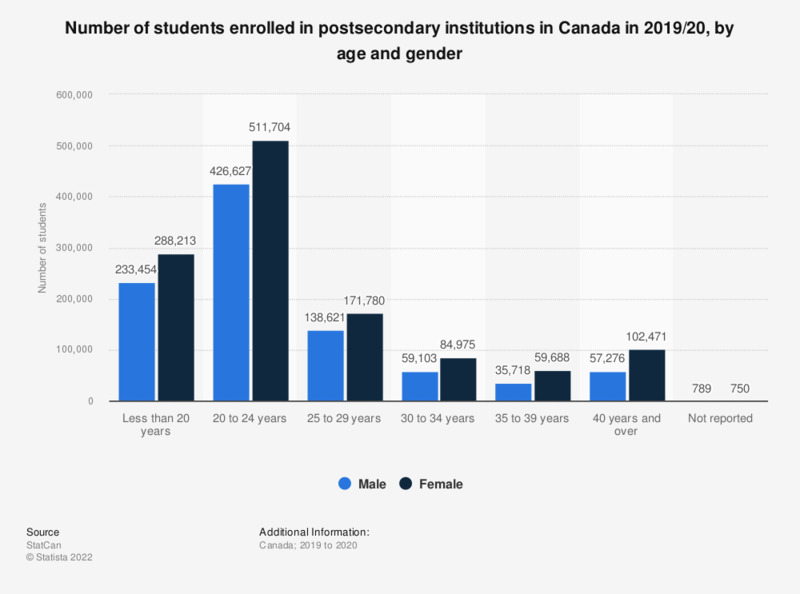 This statistic shows the total number of students enrolled in postsecondary institutions in Canada in academic year 2016/17, distinguished by age group and gender. In 2016/17, a total of 483,366 female students aged between 20 and 24 years were enrolled in postsecondary institutions in Canada. Data for 'Unknown gender' is not presented here.